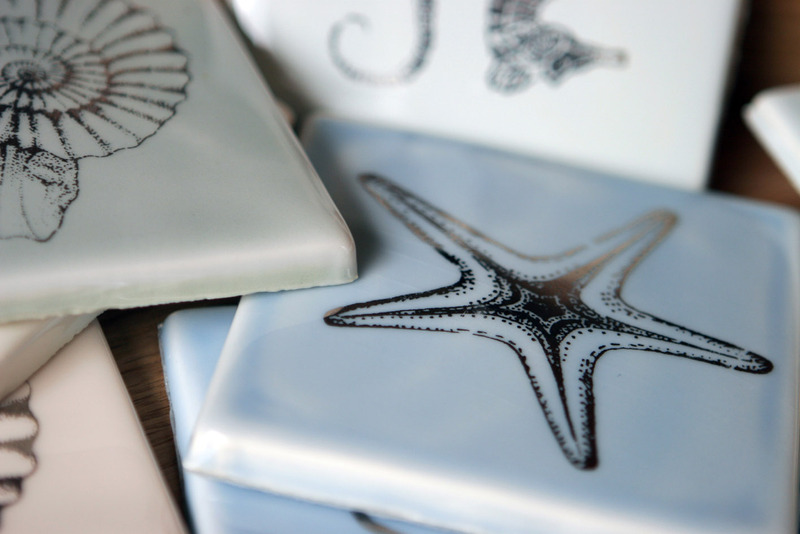 Handmade ceramic tiles with images inspired from walking the Dorset coast. 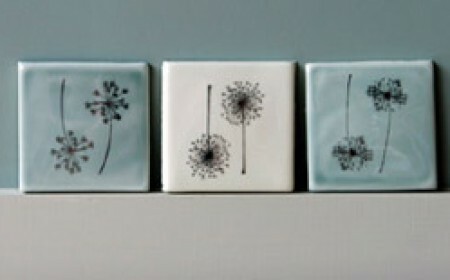 Floral design platinum image ceramic tiles. Floral design platinum image ceramic tiles. All tiles/coasters feature platinum images, tiles are available in 4” or 5” sizes and are backed with a suede effect grey material. Images are available on either size and on pale grey, sky blue or of white glaze colour. 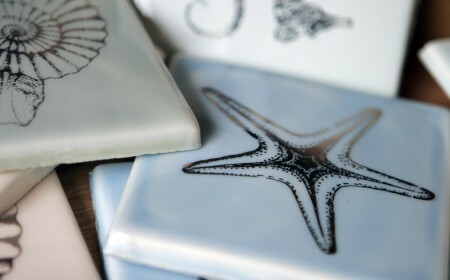 Handmade ceramic tiles with images inspired from walking the Dorset coast. All tiles/coasters feature platinum images, tiles are available in 4” or 5” sizes and are backed with a suede effect grey material. 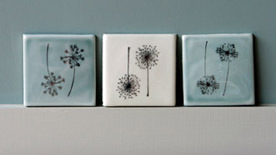 Images are available on either size and on pale grey, sky blue or of white glaze colour.